Two urban projects with a story, which shows how complex it is for a city to go from ideas to action. 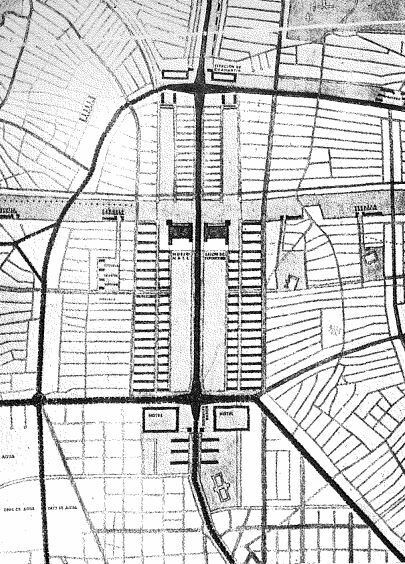 Secundino Zuazo and Herman Jansen win in 1929 the competition to extend the Castellana, the main north-south axis in Madrid. During the years up to the 1936-1939 civil war the project is not developed, and later the area is developed through partial approaches that no longer have the integral vision, form AZCA (already defined in the 1946 Plan Bidagor) to the leaning towers of Plaza de Castilla. There is a good article by Carlos Sambricio on the Zuazo- Jansen project. 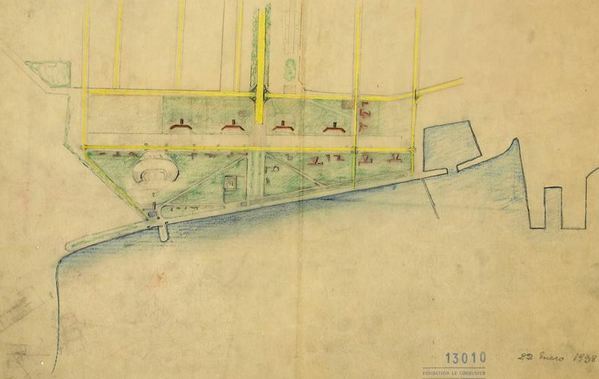 Le Corbusier visits Buenos Aires in 1929 and draws the first sketches for an approximation of the city to the Rio de la Plata, transforming Puerto Madero, a string of docks in the central area, in a space marked by its “Cartesian” skyscrapers (reading Le Corbusier’s travels is like remembering Napoleon’s campaigns…). 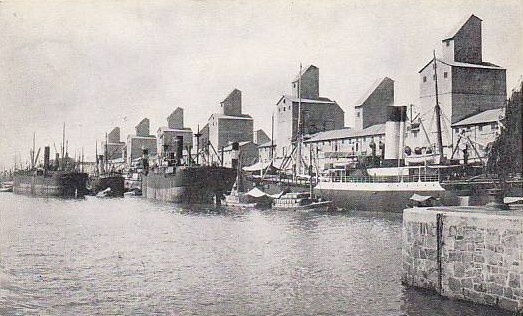 The project is detailed in Paris in 1937-1938, and is even subject to an aborted attempt to develop it by the city government in 1947-1949. The work with a group of Argentine architects (described in « La Red Austral, obras y proyectos de Le Corbusier y sus discípulos en Argentina », by Liernur and Pschepiurca) was essential to the project, even if it was finally not built. Under the presidency of Carlos Menem during the 1990s the idea is reactivated; Puerto Madero has become a new space of centrality, but it is legitimate to think that Le Corbusier would rant, as in New York, agains the small size (in plan ) of the towers. There is an interesting article by Juan Manuel Borthagaray, and the Corporación has a website.